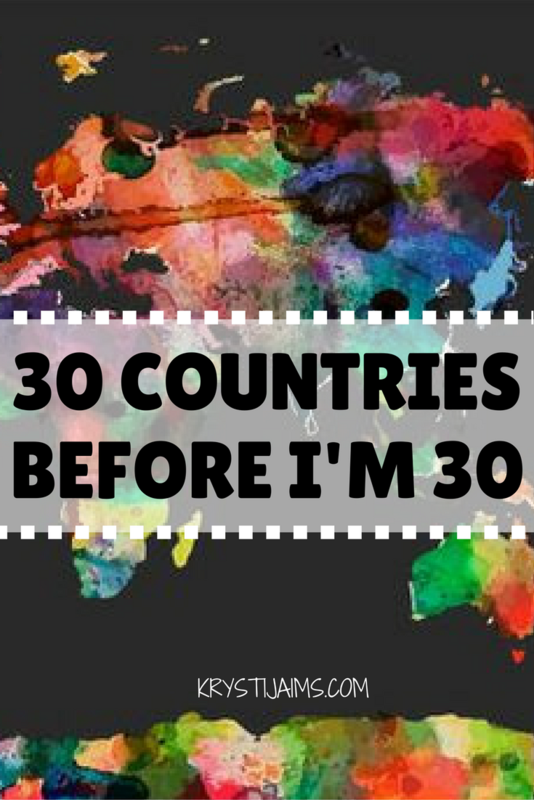 It might not seem like such a big goal to some- but I only started travelling when I was well into my twenties and lets just say, time’s-a-ticking! From 2017 I will have less than two years to complete this new challenge that I am now partaking in– 30 countries before I’m 30! 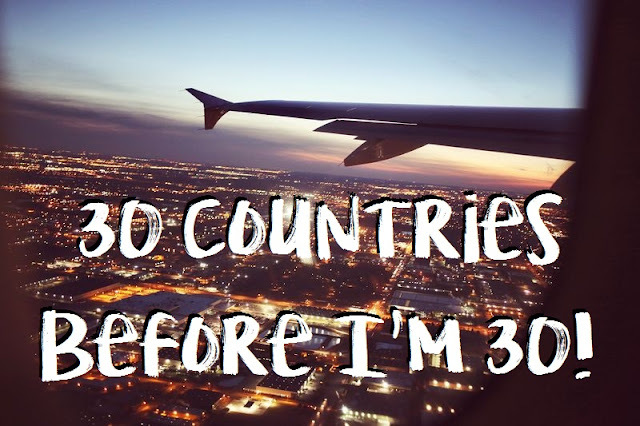 It will be quite a task (albeit a fun one), because finances are rather limited at the moment and there’s not a whole lot of time to save for six new countries in such a short amount of time. This time a year ago I wouldn’t have thought so, but starting my travel blog this year has been so amazing and I am really hoping it will lead to some (travel-related) opportunities! Below are the places I can already cross off my list. They’re in order with the year above from the first time I visited (I have been back to several of these countries since). 2. Australia– NZ’s neighbour, this was my first overseas experience. (Currently living in). 3. Singapore– A brief stopover on the way to Thailand. 4. Thailand– 3 wonderful weeks were spent travelling around the country. 5. England– I fell in love with London in an instant. 6. France– And then I fell in love with Paris! 7. Germany– Berlin was on a whole new level of cool. I’ve since lived in Germany. 8. Scotland– Cold and rainy but Edinburgh was a magical city to visit. 9. UAE– A short stopover on my way back to Europe! 10. Switzerland– A beautiful country next door to where I lived for 6 months. 11. Italy– I got engaged in Rome! I loved every single place I went to. 12. Vatican City– Really enjoyed my day here. The Sistine Chapel was magnificent! 13. Austria– My time in Vienna was awesome! The start of my solo travels. 14. Hungary– My first taste of Eastern Europe, Budapest was unexpected. 15. Slovakia– I drove from the bottom of the country right to the top! 16. Poland– Krakow is one of my new favourite cities in the whole world. 17. Czech Republic– Prague was so beautiful and I loved learning the history. 18. Ireland– Dublin! I had the best time here with my friends drinking Guinness! 19. Spain– I visited a few lovely Spanish towns but Barcelona was my favourite. 20. Greece– I had an epic couple of weeks here including cruising the Greek Islands. 21. Turkey– My time here wasn’t the best but I enjoyed the food and drink. 22. Indonesia– I loved visiting Bali and even went back again this year! 23. Cook Islands– I’m getting married here in tropical paradise! 24. Vietnam– This is our honeymoon destination, it will be a great adventure. My goal of six new countries I wish to tick off and travel to before I’m 30! 25. Samoa– An island close to New Zealand, Samoa would be a great tropical getaway. 26. USA– New York, Las Vegas, Harry Potter World… the list of places is long! 27. Canada– Snow mountains, moose and maple syrup! 28. Mexico– Tacos, tequila and white sandy beaches? Yes please. 29. Peru– One of my biggest dreams is to trek the Andes and see Machu Picchu. 30. Japan– I have always wanted to go here- it would be such a different experience! P A R I S | Top Travel Tips!